Logistiqo® is a web-based logistics software and forwarding software. The innovative technology enables logistics companies to work more efficiently and realise perfect processes and enhanced profitability as a result. Web-based forwarding software using real-time data. Register and get working. Regardless of whether you use Logistiqo® for direct deliveries or a product warehouse – you will benefit from swift provision and availability. No tedious, complex installation necessary. You rent Logistiqo® at attractive and transparent prices. Give us a call at +49 8064-9060090 to find out more about our attractive prices or send us an e-mail to info@logistiqo.com. Logistiqo® undergoes constant evolution by means of weekly updates, and virtually all newly developed functions are instantly available to you and all other registered users. Your company at the next level. Intelligent functions united in one full solution. Using the forwarding software from Logistiqo you will process your orders more efficiently than ever before. For example, orders can be imported with total ease or input via a customer portal. You maintain a clear overview of your route plans and a planning board enables you to keep a constant eye on all the important information. In order to satisfy customer requirements, it is vital for processes to be perfectly harmonised and for deadlines to be scheduled as desired. The Planning and Route Optimisation built into the forwarding software will support you in optimally planning your routes in line with numerous criteria. Regardless of whether you wish to check what can be found where in your handling warehouse at a moment’s notice, or whether you keep a product warehouse with chaotic warehousing: Our logistics software means that you will be optimally equipped and will provide you with a permanent overview of all warehousing procedures. Professional management of loading equipment is an absolute must for successful transport completion. Our forwarding program provides you with more transparency concerning your loading equipment stocks and transactions, enabling you to make sure that they are deployed efficiently. The ability to provide around-the-clock information on where exactly your driver and vehicle are located at the present moment: this is realised in the forwarding software from Logistiqo, either via interfaces with various telematics providers or through the Logistiqo app. In Logistiqo you have the opportunity to upload documents for every single consignment: delivery papers, photos of damage, e-mails etc. You can gain access to all documents any place, any time and e-mail them to customers straight out of the software or make them available to the customer in the customer portal. Whether outgoing invoices, incoming invoices, reminders or payments: With Logistiqo you work swiftly and tidily. Using the web-based forwarding software, you have an integrated view of your debtors and creditors. You will see how your business is doing in an instant, without having to wait for the monthly statement. With the aid of real-time data and numerous analysis tools, our forwarding program supplies and supports you with precise information. This way you can detect trends in good time, react promptly and correctly, and optimise decision-making. Full loads, partial loads, piece goods and warehouse. 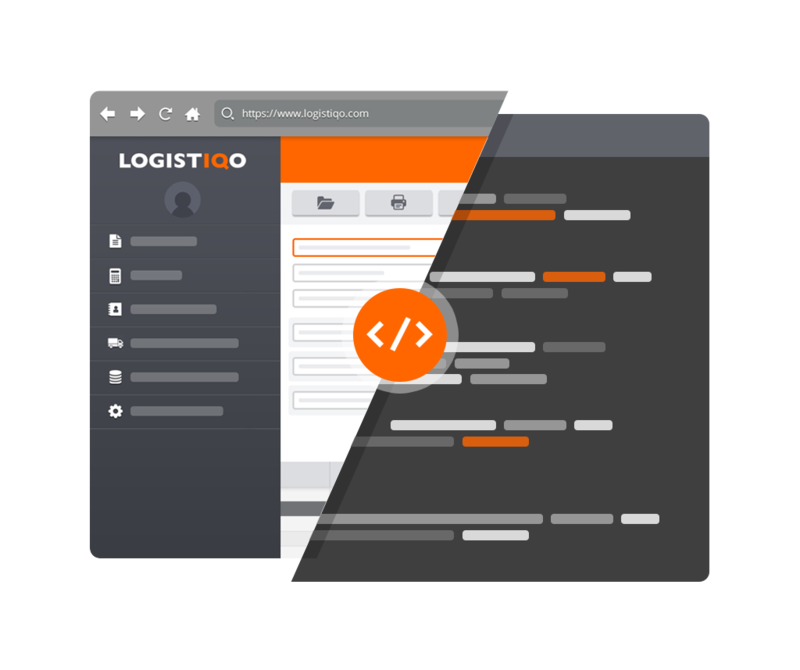 Logistiqo is comprehensive and simultaneously intuitive web-based logistics and forwarding software for small, medium-sized and large forwarders and logistics companies. Tasks for full loads, partial loads, piece goods and warehouse management are becoming ever more complex, demanding excellent management combined with top planning. With the logistics and forwarding software from Logistiqo you will optimise your procedures, increase your productivity and obtain the fullest transparency concerning everything that is going on within your company. We optimally cover every step in our logistics software, from order acceptance via planning and depot transshipment through to the exporting of invoices to the tax advisor. In order to use our logistics software, neither you nor your employees and business partners will need a lot of training – while creating our forwarding and logistics software we focused our main attention on making utilisation as easy and intuitive as possible. The flexibility of our logistics and forwarding software means that you can custom-design your order mask among other features: for example, it may be that inputting hazardous goods is irrelevant for your company, but on the other hand, temperature indications for new orders are important to you. In order to keep the deadline promises that you made to your customers, we recommend that you utilise the Route Planning and Route Optimisation in our logistics software. The intuitive route optimisation enables you to reduce journey costs and perform more stops within a shorter period. Your warehouse can also benefit from the forwarding software. Manage and control your warehouse stocks in your product warehouse or transshipment warehouse in an uncomplicated manner via the powerful Transport & Warehouse Management System from Logistiqo. Using the forwarding software you can instantly check on the efficient planning, management and monitoring of transport operation and track them in real time. Benefit from our real-time analysis: your entire data are updated in the logistics software and can be retrieved instantly and from any location. In the Accounting section, Logistiqo offers you an integrated view of all your debtors and creditors. You can bill automatically right after Proof of Delivery, thereby demonstrably improving your cash flow. Logistiqo is provided on our servers, which means that you can retrieve and utilise the forwarding software at any time and from everywhere in the world. That is of particular advantage if you have multiple locations or depots, for example. Avoid high server, IT and network costs: The logistics and forwarding software from Logistiqo provides you with everything you need from one source. In addition, we develop and optimise our forwarding program on a continuous basis, making the latest functions and updates instantly available to all users. Save yourself the purchase of unnecessarily expensive software licences and rent Logistiqo at attractive prices. Utilise our web-based logistics software and the various program functions in virtually all areas of your company. With our skilled team we continuously optimise the processes of our modern software solutions, which are adapted to your transport and warehouse logistics needs. Get free & non-binding information about our forwarding software. Android app for a more efficient workflow. One app for all process participants: Drivers and sub-contractors process their assigned orders and indicate the current consignment status. Warehouse workers scan consignments in the transshipment warehouse or product warehouse. And your customers use the app to track the status of their own consignments. New consignments are transmitted to the allocated driver or sub-contractor in real time and subsequently implemented step by step. The consignor or consignee signs for the collection or receipt of the consignment and it is possible to take photos of delivery papers and damage. With Logistiqo, all warehouse processes are combined in one app: inventory, incoming goods with damage form, deconsolidation, storage, order picking, consolidation and palleting. The app can be used for both transshipment and product warehouses. Barcodes are affixed to packages upon collection and scanned and registered using the Logistiqo app. The app sends the scanned data live to the server. Intelligent barcodes are affixed at the depot. These barcodes are scanned in turn at further depots and upon delivery.